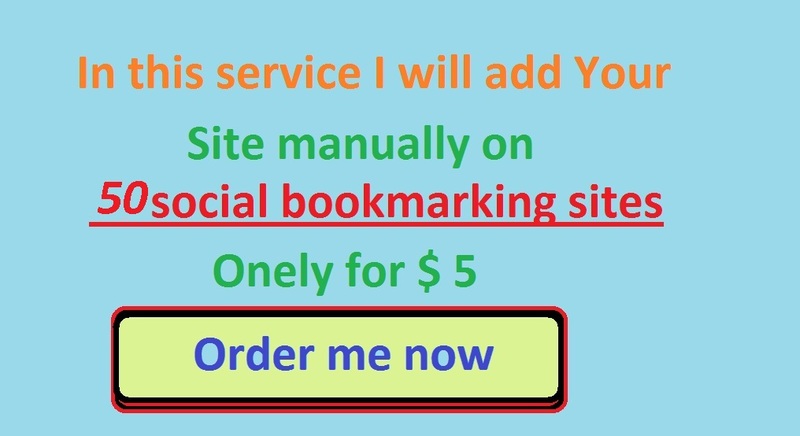 I will add your site manually on 50 social bookmarking sites only for $5. All the bookmarking sites have high PR (minimum PR3). I will not use any bot or fake accounts. Notice : Adult websites are not allowed. Get add your site manually on 50 social bookmarking sites is ranked 5 out of 5. Based on 1 user reviews.